MFSI was founded in 1993 and has been under the current management team since 1995. In 1999, MFSI merged with other affiliated companies to form a holding company named Energy Process Technologies. The merger was intended to combine the manufacturing strengths of our sister company with the field construction expertise of MFSI. 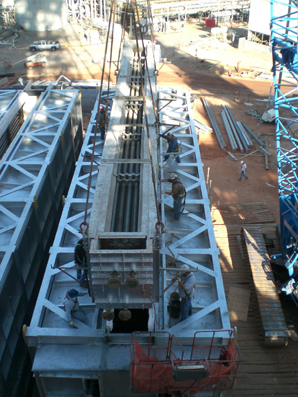 This turnkey fabrication and erection concept has been utilized on many successful projects to date and can be implemented on your next project as well. 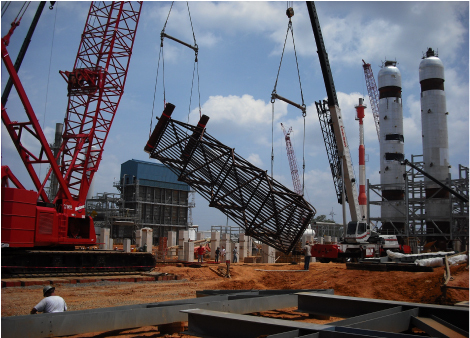 MFSI’s main strengths lie in the erection of new process heaters, boilers, and associated equipment and piping. Through the combined efforts and experience of the MFSI management team, we have been responsible for the erection of over 300 process heaters, as well as the auxiliary equipment associated with these projects. We also provide specialized services for the repair and modification of process heaters, boilers, and most other refinery and chemical plant related equipment. Our experienced managers and field personnel are here to help you with your next project from conceptualization to final installation. We can provide assistance with budgetary estimates and comments regarding constructability issues early in the project to take advantage of modularization and reduce overall project installation cost. Call one of our project coordinators today for your project needs.